Surface finish: powder coated as per your request. 2. 3 Bays connected as 1group units. 3. It is very deep and up to 600mm. 4. Steel upright is powder coated finish and very strong. 5. Long and short beam is in C shape and with rivet on the end. 6. Capacity for each layer could be 175kg , totally is 2625kg for one bay shelving. 7. 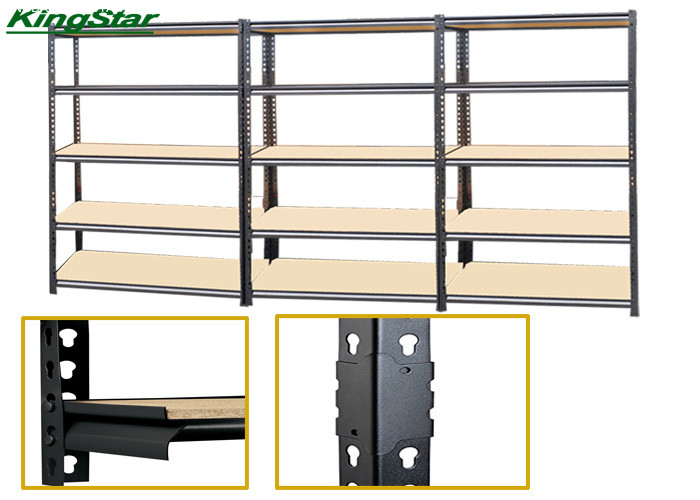 Assembly is very easy since this industrial shelving is boltless , without any bolts and nuts. 8. Very good storage solutions for warehouse , garage , workshop and office. 1. Loading goods should be uniformly distributedly. 2. Do not use in damp or wet conditions. 3. Load heavy goods on the lower shelves and lighter goods on the higher shelves. 4. We suggest shelvings over 2000mm high are fixed to the wall where possible.